Anna Feigenbaum, Tear Gas (Verso: London, 2017), 224p. This entry was posted in Chemical and tagged Armament, Chemical warfare, CWC, Military-Industrial Complex, Riot control agent, Tear gas, UK, USA on 12 November 2017 by JP Zanders. 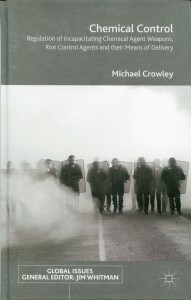 Michael Crowley, Chemical Control: Regulation of Incapacitating Chemical Agent Weapons, Riot Control Agents and their Means of Delivery (Palgrave Macmillan: Basingstoke, 2015), 378p. This entry was posted in Biological, Chemical and tagged BTWC, CWC, Disarmament, Incapactating agent, International Humanitarian Law, OPCW, Riot control agent on 17 March 2016 by JP Zanders. In the Greater Manchester area a 16-year old boy stands trial for having tried to buy 10 milligrams of abrin on the dark web. Abrin is a toxin found in the seeds of Abrus precatorius, otherwise known as jequirity or rosary pea. This entry was posted in Biological, Chemical and tagged BTWC, CWC, General Purpose Criterion, International law, Riot control agent on 11 April 2015 by JP Zanders. This entry was posted in Chemical and tagged BTWC, CWC, Piracy, Riot control agent, Toxin, UK on 14 October 2014 by JP Zanders. 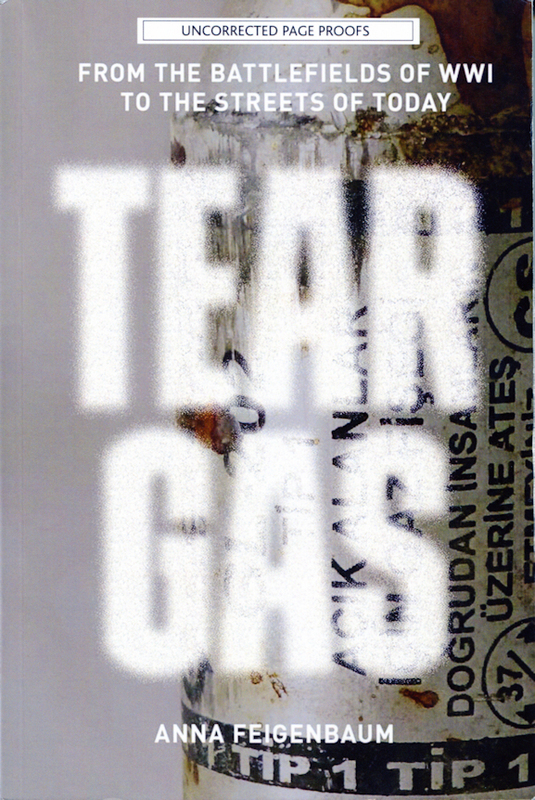 This entry was posted in Chemical and tagged Chemical weapon, CWC, International Humanitarian Law, Riot control agent, Tear gas on 17 August 2014 by JP Zanders.